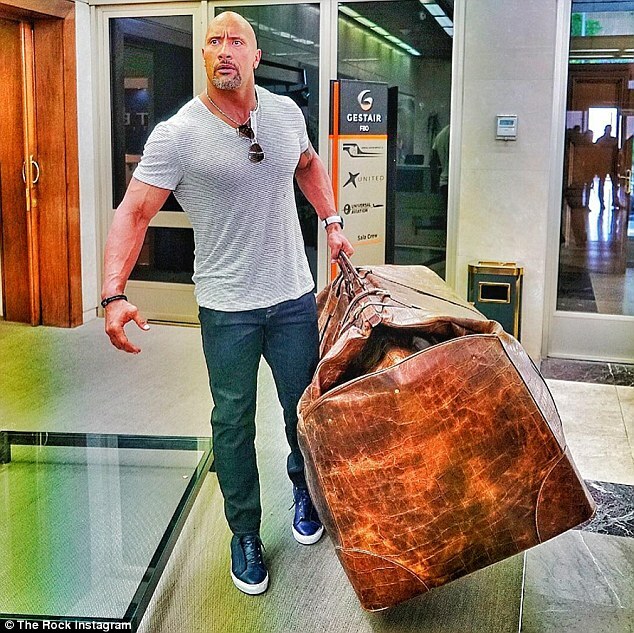 You can’t track down the carry-on bag sizes for 195 airlines without getting your hands dirty. 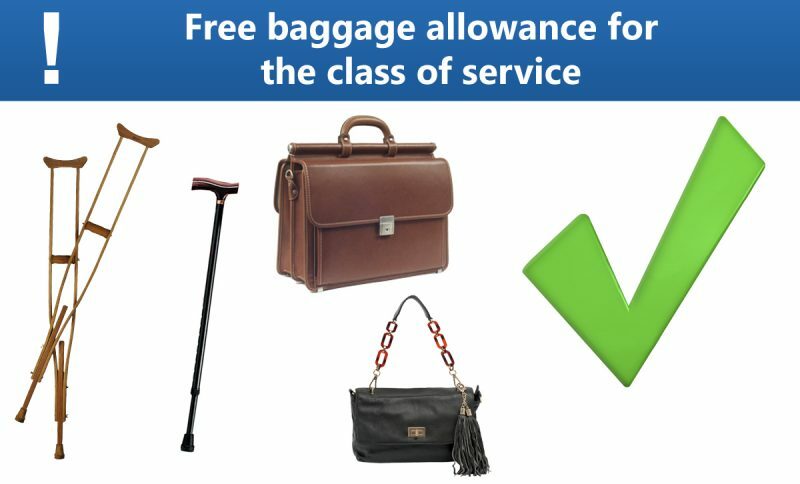 We’ve sifted through esoteric rules, and slogged past barbed regulations to bring you the good stuff – those all-important carry-on weights and dimensions. Along the way we even uncovered an airline or two we had never heard of wedged behind the sofa. Insel Air, the Dutch Caribbean carrier that serves as the national airline of Curaçao, notes helpfully, “A television is not a regular piece of luggage.” Duly noted. We tend to agree. But a lot of digital nomads and long term travelers have a base. Maybe you’re moving/upgrading yours. For a 35-inch television a fee of USD $40 will be charged. A 2nd television will be charged USD $80. If the television is between 35– 42 inches, an oversize fee of USD $40 applies on top of the regular fee. Insel does not allow televisions over 42” inch onboard its aircraft. These must be transported as cargo. Unfortunately in 2014, 63% of TV sets sold around the world had a 40+ inch screen, so chances are, if you’re traveling with a relatively new TV, you’ll be paying the oversize fee or you’ll have to search for a different carrier. Hot-cha! Take it away, Mahan! 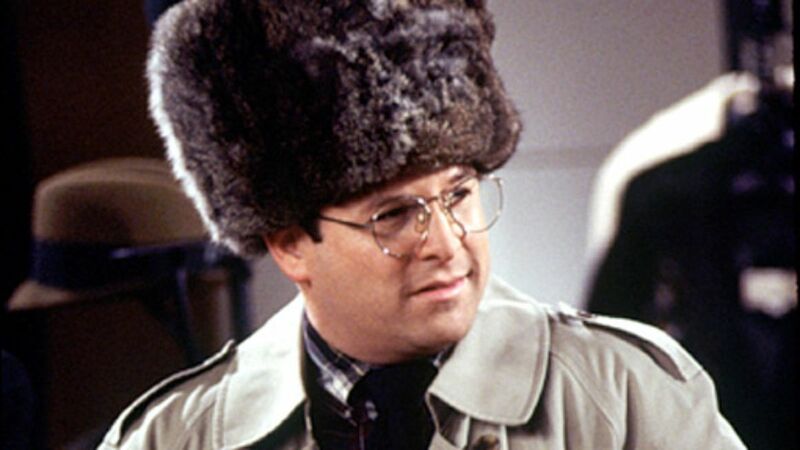 Though the list is somewhat shorter than might be expected, we’re hoping that the lamp shades clause covers most of the hats | in | our | collection. One question. Why don’t you pick on someone your own size, Silk? A few years ago, Air Koryo became famous for trafficking McDonald’s burgers into Pyongyang from China on a daily basis to feed the North Korean political elite. 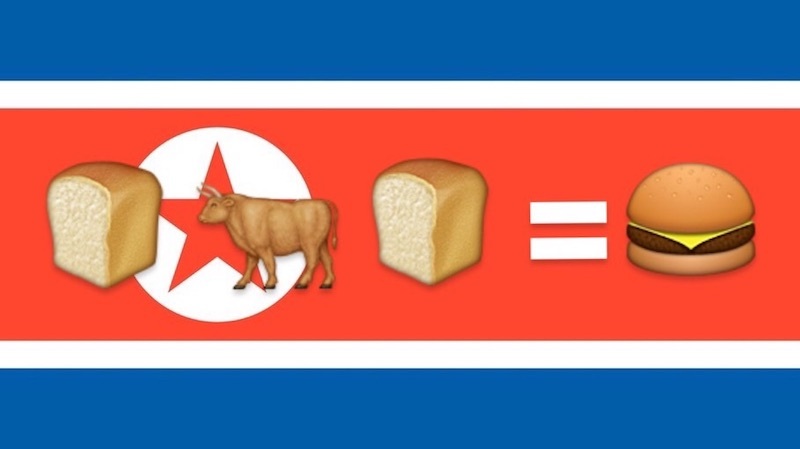 We can only guess that what appealed was McDonald’s adherence to Dear Leader Kim Jong Il’s original ‘double bread with meat’ recipe. ‘Double bread with meat’ is known colloquially as gogigyeopbbang and yes, Kim Jong Il really claimed to have invented the hamburger. Air Koryo also happens to be the world’s worst and only 1-star airline with a long record of safety violations. However, there are recent signs indicating that distinction may not last. According an article in Bloomberg, Air Koryo is modernizing its Pyongyang terminal, fleet and all-important flight attendant’s uniforms in an effort to move up in the rankings. …you traitorous half-baked reactionary, you! Crossbows, and submarine hunting guns (!!!) are permitted as well. If you’d like to take your underwater torch, soldering iron or avalanche rescue pack, they are permitted, but you’ll have to notify Air Malta in advance. Wizz Air, the low-cost Hungarian airline, will only accept your jumping poles for carriage if packed in textile sacks. However, Wizz Air does not provide any further information on what jumping poles actually are or why they specified that the sacks must be “textile.” Here’s what Google thinks. Don’t make that sour face. Parachutes are A ok, even if they’re not exactly a vote of confidence. Most airlines allow you to carry your own parachute as long as it meets their carry-on limits. It’s highly unlikely that it’ll be of any use to you in the event of an erm… “water landing,” but you can bring one along nonetheless. Just make sure your parachute does not contain any pyrotechnics or smoke canisters. It’s for the best. Sadly your son and daughter are expressly prohibited from playing with their remote controlled toys on TAAG Angola, but you should still consider joining their Umbi Umbi Club, after all – it’s the frequent flyer club with the coolest name going. Achtung! The Samsung Galaxy Note 7 Flamethrower Edition has been banned by airlines globally since its recall. By the look of this this (allegedly) Bulgarian Swagway, that prohibition is perfectly understandable. Many airlines make provisions for dogs and cats to be transported as part of your hand luggage allowance. Some extend that service to household pets. Reptiles and primates (including lemurs, monkeys, orangutans, gorillas and chimpanzees), must typically be shipped as cargo and are not allowed in the cabin. In recent years, comfort or emotional support animals (as distinct from service animals for the visually impaired) have been on the rise. 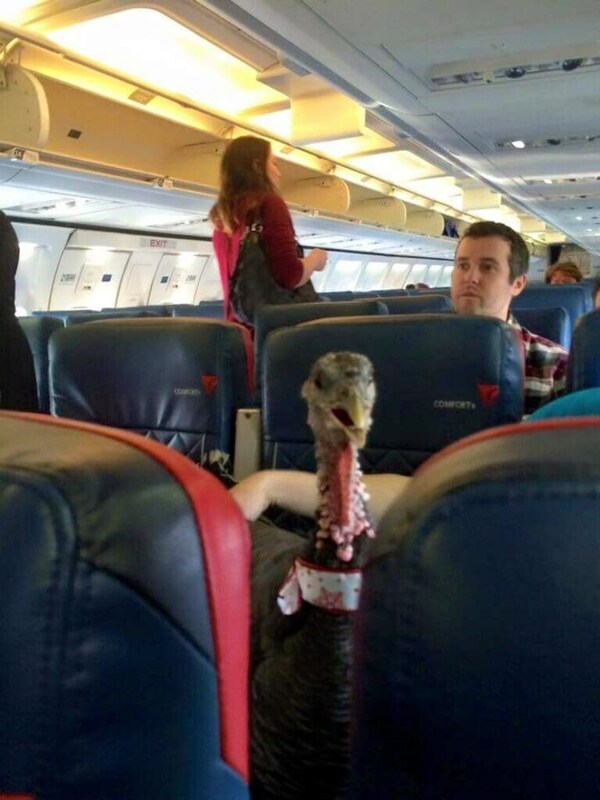 Here’s a comfort turkey on a Delta flight. Note its festive holiday collar. We’re sorry that Mr. P. T. Gobble, Esq.’s seatmates will have to endure his beady-eyed poultry stare as they sip their ginger ale. If you’re seated next to a turkey, vulture or other large raptor, we highly recommend skipping the pretzels. But at this point, we’re just hoping that Hollywood doesn’t pick up on the trend for next Thanksgiving. [NSFW Language Warning. It *is* Samuel L. Jackson after all. What do you expect?]. Who’s doing the swearing now? One way to handle snakes is by bringing your falcons onto the plane, obvs. On Etihad Airways, business class guests and up are allowed not one, but (a generous) *two* winged beasts per seat. Coach passengers have to make do with one lonely bird of prey. 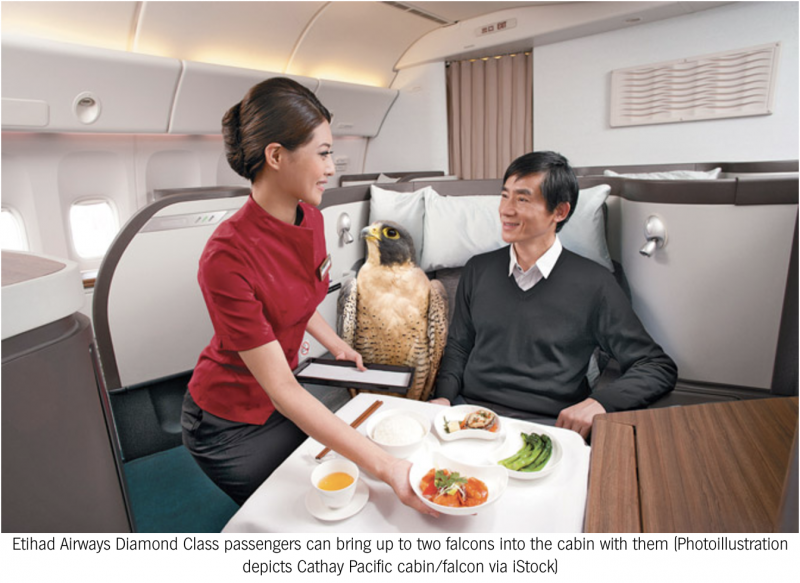 Screenshot [via Minaal] of shot of photoshopped falcon in Cathay Pacific cabin [via iStock] intended to represent Etihad Diamond Class passengers’ two falcon allowance. Falconry is quite a popular pursuit throughout the Middle East and many airlines that service the region such as Etihad, Qatar Airways, Royal Jordanian and Lufthansa, have provisions for raptors on board. Lufthansa Technik has even developed the patented ‘Falcon Master’ which it pitches to VIPs as a safe and hassle free bird stand that is the optimal solution for bird protection and hygiene. 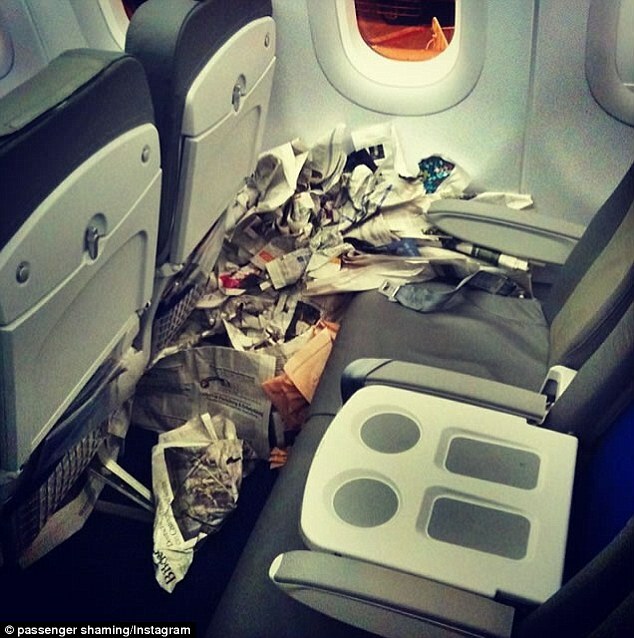 Still cool with eating off of those tray tables? Graphic design for the class of service = triple platinum. More #chillvibes found at ATA Airlines Instagram. A small camera and/or binoculars. Infant’s food for the consumption in flight. Oh and if you came across any bizarre factoids or as yet undiscovered airlines, let us know in the comments and we’ll post your update. Carry-on Bag Sizes is an ongoing project. So, use it! Poke around just for fun or get your baggage restrictions quick and go. If you dig it, we’d be super grateful if you’d share it. Next Post How Fast (Or Slow) Do Digital Nomads Travel?